Breakfast and check in Victoria hotel upon arrival to Sa Pa if your room available. Later your guide will show you around this charming town for a brief introduction. Ten minute walk from Victoria hotel, you will be the market where ethnic minority people of different groups wearing their traditional costumes made by themselves comes every day selling local products includes vegetable, bamboo shoot, mushroom, medicinal herbs and souvenirs…there are chances to get intact and taking photos. 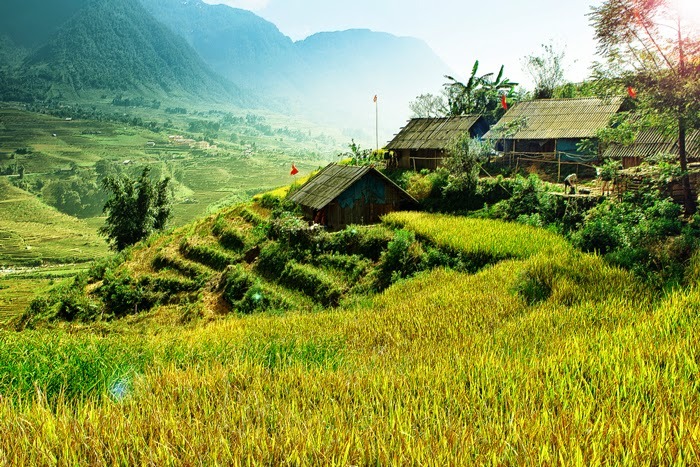 Later you will follow the footsteps uphill to the top of Ham Rong Mountain for over viewing beautiful scenery of the town and surrounding area, paying visit to an orchard garden and a mini museum which tell you a lot about ethnic minority people living in Sapa and the northwest. Your guide and driver will pick you up at the hotel for a transfer to the center of the valley and from here take an easy walk following village path around the valley, passing by and paying visit to Black Hemming houses scattering on mountain slopes. From high elevation, great view of the valley stretching under your feet. Continue your walk to the Red Zao village in which you will meet groups of women making handicrafts includes embroidered clothes, handbags… Drive back to your hotel and enjoy noon break. Meet your guide and driver again for a leisure trip. The drive uphill offers most spectacular scenery of Fansipan Mount. Just a kilometer out of the town, rose flower farms and later chayote grows on bamboo frames covered a vast area. We’ll stop at the magnificent Silver Waterfall before reaching to the top of the highest mountain pass in Vietnam. The wind blows stronger to force the clouds moving constantly. It is the best point here to enjoy breathtaking scenery of the two side of Fansipan Mountain Range. Amazingly that the weather is very different by the side: In many days It is foggy and cloudy on Sa Pa side and sunny brightly the other side. 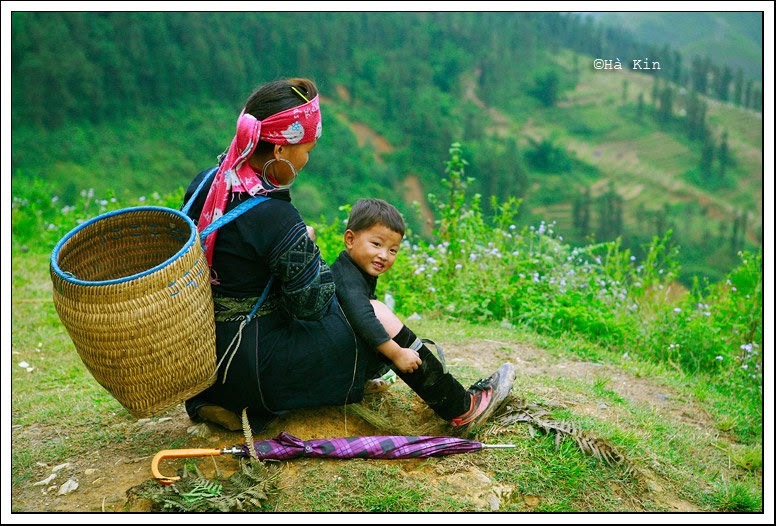 Today you will spend the whole day exploring the spectacular Muong Hoa lying on the south of Sapa Town. Your car will take you along the only road built on the side of a mountain range, looking down the valley, over viewing magnificent landscapes composed of high mountains, deep valleys, and stream of water winding, waterfalls and terraced rice paddies…Many time, leaving the main road, you will enjoy short walk to tribal villages such as Ta Van of the Zay, Su Pan of the Black H’mong, Ban Ho of the Tay… meeting locals at home and at works. Accommodation: 2 nights in Superior room, Victoria Sa Pa Hotel.